I was at the clinic the other day. An auntie casually chatted with me and she said this "it doesn't matter we are rich or poor. It's more important to have a healthy body. If poor, just eat lesser; won't die...". Don't you agree with her? This is the last hour of 2010. I pray for love, peace and joy to surround all of you. 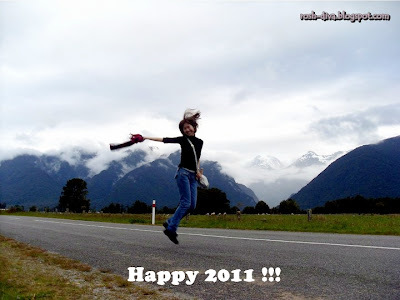 May 2011 be a better year for all. I sincerely wish for my family members to stay happy and healthy. Hugs and Happy New Year!! Rabbit Rabbit!